ARRESTED FOR DRUNK DRIVING? DON'T TAKE IT SITTING DOWN! We are successful in having DUI testing results suppressed based on constitutional violations. Identifying deficiencies in your case to effectively argue legal grounds to save your license at your DMV hearing. 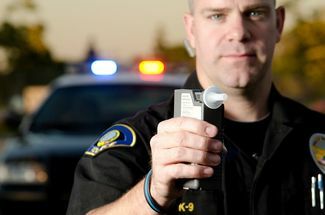 If you are facing charges in California for a DUI or other crime, proactively contacting a lawyer is your best option. Many people successfully avoid a potential conviction with the help of DUI Lawyer Steven Taxman. Located in Santa Rosa, CA, the Law Firm of Steven Taxman is a top rated firm in Northern California for DUI. Mr. Taxman fully understands the ramifications of a criminal conviction, and he is passionate about protecting his client’s rights. He will pursue every potential avenue to preserve your freedom, reputation, and livelihood. To schedule a consultation with Steven Taxman, please contact our office today. "Steven took care of everything, literally everything involved with my case. He worked tremendously hard to get me the best outcome I could have gotten and he went above and beyond to get everything handled so I didn't have to stress or worry about anything. OUTSTANDING service, communication, accountability, and outcome. I couldn't of asked for anything better!" There is never a reason to assume you must plead guilty and accept the consequences, such as the immediate loss of your driver's license. Whether for DUI, drug crimes, or charges of violence, you are innocent until proven guilty. It is important to speak to an experienced lawyer and discuss the rights and options that are available to you. After 20 years of practicing criminal defense law, Steven Taxman knows every aspect of the justice system. He understands police protocol, rules of evidence, court procedure, penalties, and California judges and juries. Unlike other attorneys, Mr. Taxman does not utilize plea bargaining as his primary strategy. He knows how to fight criminal allegations and win. DUI’s are a primary focus of our law office, and we have helped hundreds of clients avoid immediate and long-term penalties. 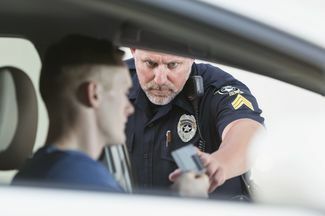 We can keep you out of jail and help you retain driving privileges. Representing you at a DMV hearing, we can postpone or potentially avoid suspension of your license. Mr. Taxman will examine and question all of the prosecution's evidence in your case, including DUI testing results. He targets procedural errors and police protocol, utilizing expert witnesses in many cases. We consistently obtain outstanding results for DUI and criminal defense cases because we are passionate about helping our clients. We understand what is at stake, and we care deeply about your outcome. Our office is located in Santa Rosa, CA, but we provide legal representation to clients throughout the wine regions of Napa Valley, Sonoma County, and other Northern California areas. Mr. Taxman is always available to his clients. Please contact our office today to schedule a consultation.